Last weekend we traveled to buy knitting supplies and write a blog review of the Spinrite Factory Outlet Store in Listowel Ontario, and as we drove along those long flat roads bisecting snow covered cornfields beside sprawling dairy farms, I considered how this area might have looked two hundred years ago, when it was a last bastion of impenetrable wilderness called The Queen's Bush. There was a time when all of southern Ontario was covered in trees and the only roads were rivers and Indian trails. Life was tough. 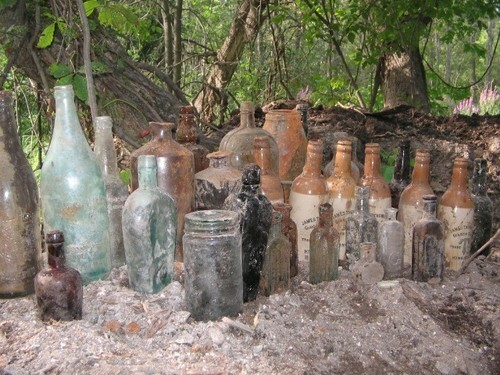 Read Susanna Moodie Roughing It In The Bush for her description of pioneer life near Peterborough Ontario in the late 1830s. So to say that someone was the first take up residence here or there in a particular area means that the hardy pioneer in question must have cut his way into the bush and camped and slept in the rain until he or she had erected basic shelter, and then a log home. Such was the case when Settler John Binning arrived in what is today the town of Listowel Ontario in 1857. John Binning 1812-1899 was born in Somerset, England and became the Founding Father of Listowel Ontario. He started life as a British regular, signing up with the 46th regiment of Light Infantry at the late age of 24 yrs old; for the next eleven years he saw the world as a red coat. During this period he was stationed in Gibraltar and the West Indies. 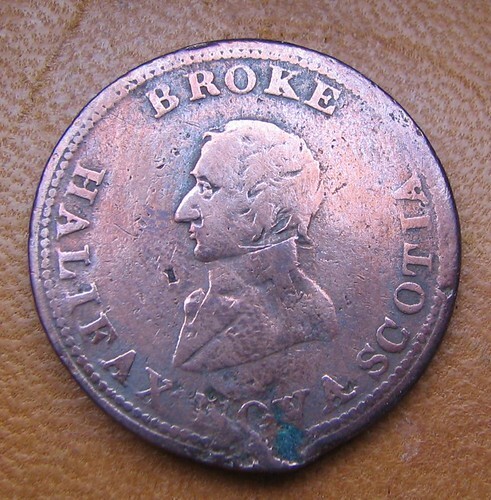 In 1846 his regiment came to Lower Canada, and he was for some time stationed near Montreal and yearned to explore and make a place for himself in the rapidly expanding Upper Canada territory, he obtained his discharge, and retired from service with the rank of corporal. In 1849 Jon Binning married a daughter of Mr. G. W. Dodds, and moved in 1851 to what is now Listowel, taking possession of a shanty already erected by an earlier pioneer named Henry. This Henry chap had set up a 'right of priority in possession' claim on a gorgeous plot that was right beside a lovely bend in the river simply by building the shack. This structure and surrounding land John and his wife eventually bought from Mr. Henry at the cost of one rifle. John then marched off to nearby Glen Allen wherein he brought a supply of provisions, and thus commenced his pioneer life. 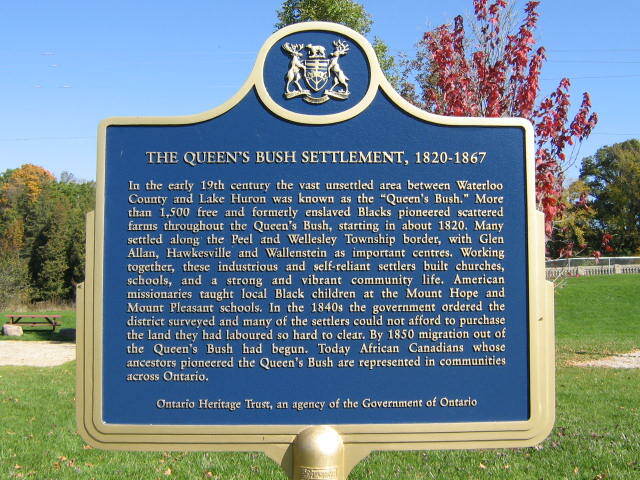 The Wellington County Historical Society and the Township of Mapleton Historical Society unveiled a provincial plaque at Glen Allan Park in Glen Allan, Ontario, to commemorate the Queen’s Bush Settlement, 1820-1867. A plaque was erected on August 2, 2008, by the Ontario Heritage Trust. The above photo is on the Ontario Heritage Plaques website photo credit to Alan L Brown. In the early 19th century the vast unsettled area between Waterloo County and Lake Huron was known as the “Queen’s Bush.” More than 1,500 free and formerly enslaved Blacks pioneered scattered farms throughout the Queen’s Bush, starting in about 1820. Many settled along the Peel and Wellesley Township border, with Glen Allan, Hawkesville and Wallenstein as important centers. Working together, these industrious and self-reliant settlers built churches, schools, and a strong and vibrant community life. American missionaries taught local Black children at the Mount Hope and Mount Pleasant Schools. In the 1840s the government ordered the district surveyed and many of the settlers could not afford to purchase the land they had laboured so hard to clear. By 1850 migration out of the Queen’s Bush had begun. Today African Canadians whose ancestors pioneered the Queen’s Bush are represented in communities across Ontario. The first water wheel powered mills on the Maitland River at Listowel Ontario were for grinding wheat into flour and belonged to Mr. D. D. Hay. The water powered machinery made life a lot easier as previous to its development the wheat had to be hauled by oxen and sled to Hawkesville, where it was made into flour - a round trip took three days. Next mill would no doubt be a saw mill, and them much later wool mill. One historian in 1881 speculates that ".. a woollen mill is perhaps the earliest manufacturing business in Listowel - now, and for over a quarter of a century, operated and owned by B. F. Brook." I also discovered that there is a property in town called“Rosebank”, and it was built in 1872 by the Brook family, owners of the woolen mill. In an 1888 Ontario Manufacturing Directory, B.F. Brook is listed as being of the 'Textile industry and fabrics', The exact listing reads: LISTOWEL, Perth Co. G T RR. Tel. Am Ex. Brook, B. F. Blankets, Flannels and Yarns. 1 Set Cards. 4 Looms. Three years later in 1891 Listowel Business Diretcory there is mention of "Brook, B.F. M, 45, Head, ENG, ENG, ENG, PRESB, Manu Of W Goods,". When the first world war happened, did the mill made something in connection with the war effort? The Perfect Knit company was here in the 1950s and 60s I believe. Spinrite is here today. I'm still looking to fill in more of the blanks; let me know in the comments if you can help and what I should research online to get the entire story of the woolen mills in Listowel. What is the name of this water system? Hi there. I was wondering if I could ask you for some information that you might have on some pottery that I own. I could send you some photos of the 2 crocks that I have. one is the smaller crock to store sugar and the other one is a bit bigger to store flour in. I can't really read what is written on the bottom. What I can read is that it is made in Canada. it has beautiful blue and grey images on them of a farm and barn and a grain silo. I would love to hear from you. Thanks so much for your time. 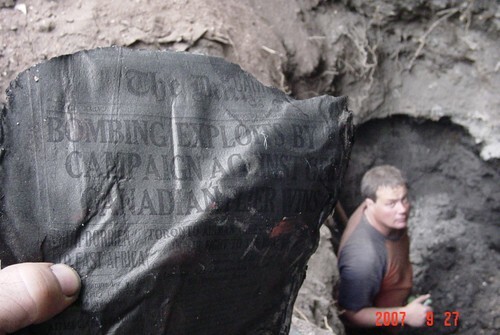 I'm Rob Campbell, a knowledgeable historian and small time treasure hunter, researcher, and professional storyteller. I write this blog to share my own and other Dumpdiggers' stories. Want to chat? Email Rob Campbell on Hotmail. Years ago, I teamed up with Dan McGee from the Manhattan Well Diggers to write the Dump Diggers Wikipedia Page. Readers may Subscribe to Dumpdiggers blogspot RSS feed here, or follow the blog on Blogger, and get updates on fresh posts in your email. There used to be a Dumpdiggers' discussion forum. Now I would recommend bottle collectors use the resources available at the Four Seasons Bottle Club, Canada's most active bottle collectors.